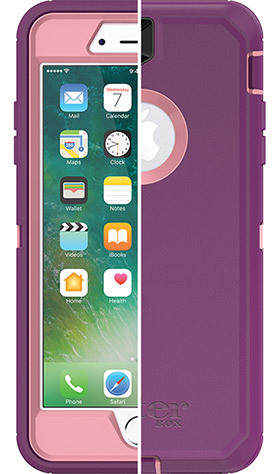 The OtterBox Defender Series Case, shown in the color Vinyasa. Even though many people are opting out of repairing their phones due to many cellular service providers offering free upgrades, phones are still typically a huge investment. With the iPhone 8 starting at $699 and the iPhone X a whopping $999, it’s no surprise people are dishing out extra money on protecting their investments. Two of the leaders, and arguably the most popular, in the functional phone case game are LifeProof and OtterBox. LifeProof’s claim to fame case is the FRE. This is the ultimate case for outdoor enthusiasts. Boasting four “proofs,” waterproof, dropproof, dirtproof, and snowproof. The case has a built-in screen protector for added durability and allows access to all features and functions. This allows the case to have what LifeProof calls 360-degree protection. 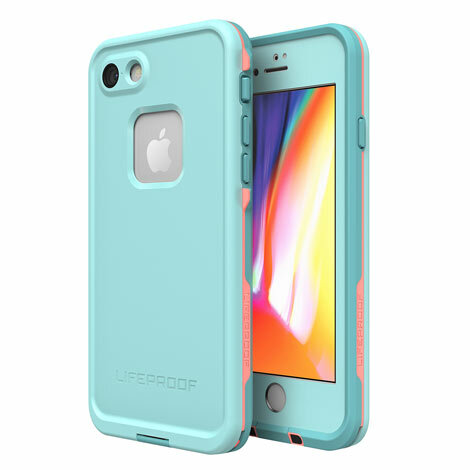 The LifeProof FRE Case, shown in the color Wipeout. I have personally used a LifeProof FRE case for over three years now, and it has allowed me to actually not break a phone. Upgrading from my iPhone 6 to an iPhone 8 was solely due to the iPhone 6 not functioning properly with the new iOS updates, and not because I shattered the screen. For this reason alone, I will continue to swear by this case. It seems that everywhere you look people have PopSockets on their phones. Initially, it seems like a goofy invention, but with phones getting bigger than our hands can handle, they can add quite a bit of comfort. PopSockets offer versatility in their function as well. Some people are even opting to put two on the backs of their phones or tablets. Check out the image below for some ways people are using their PopSockets. This diagram shows the many uses of PopSockets. The PopSocket anatomy is pretty basic. There is a flat, plastic disc with a reusable (just rinse it if it gets dirty, and re-stick it) adhesive that goes on your phone. Attached to the plastic disc is a soft, pliable, rubber material in an accordion shape that can be pulled out to extend about an inch. The accordion piece has two “levels” that you can stop the socket at to better angle your device. On top of the accordion piece is a sturdy plastic disc, which is often decorated with a trendy picture or logo of some sort. 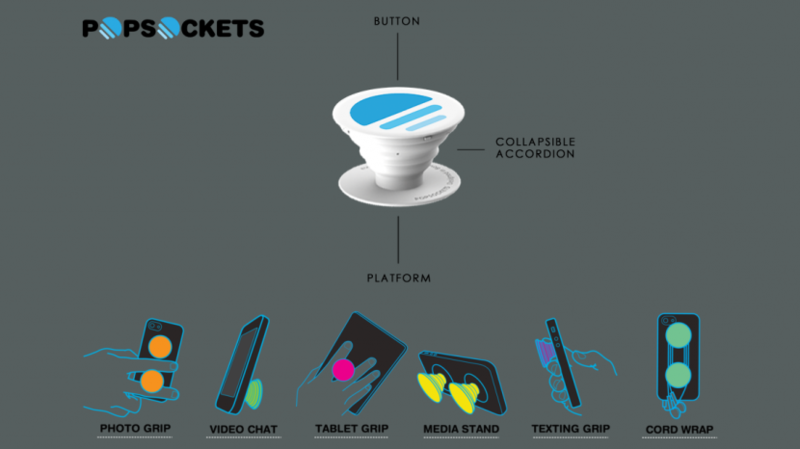 The PopSocket brand also offers some accessories for their accordion-style adhesive discs. The Car-Vent Mount and Multi-Surface Mounts are available as well. I personally use a pop socket and the car-vent mount. While I, for the most part, love both products on a perfect day, I have run into a couple of issues. I took my phone (safely secure in my LifeProof FRE case with a PopSocket adhered to the back) into the Blue Lagoon with me on a recent trip to Iceland. Almost immediately, the PopSocket came off. I’m not sure if this was due to the steam, or actually getting droplets of water on it, but after trying to reapply it, I decided it was going to live in a pocket in my swimsuit the rest of my time there. I have also noticed that while driving, if it is humid outside, and I have my phone resting in the car-vent mount, my phone falls off the PopSocket and lands on the floor of my vehicle. So, it is my assumption that the product does not handle humidity well. However, it could also be the texture on my phone case causing this issue. 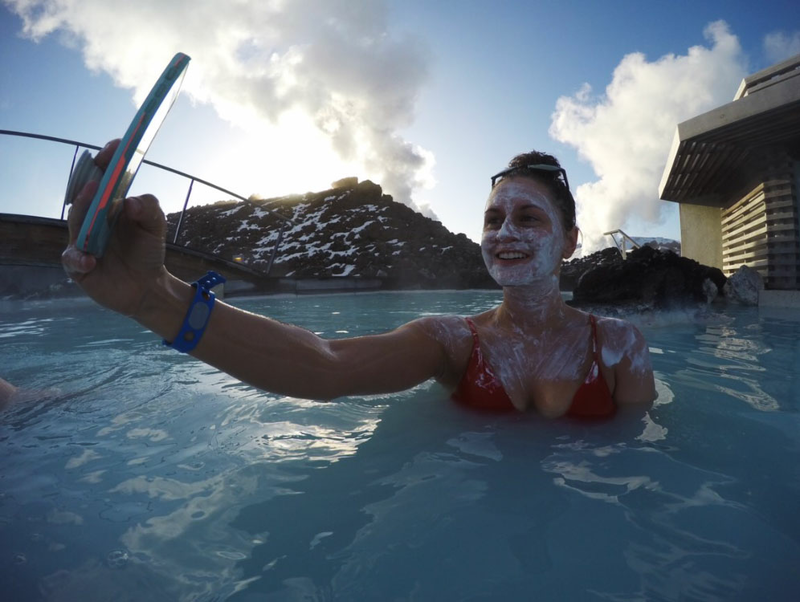 A totally necessary picture of me taking a picture at the Blue Lagoon in Iceland. *Notice the LifeProof case and PopSocket. Maybe it’s just me, but no matter which phone I currently have, it always feels like my battery drains incredibly fast. Being an avid Pokemon Go player, it’s important to always have battery juice when out miles from home walking around. The last thing you want to happen is your phone dying while doing a legendary raid. 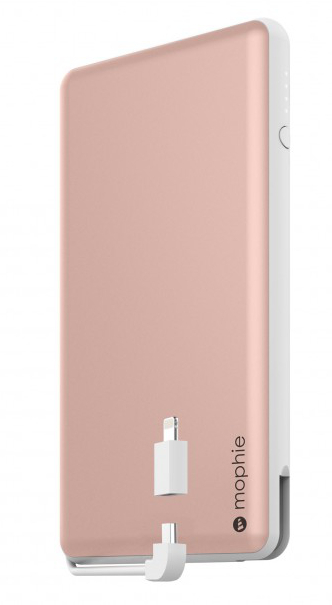 The Mophie Powerstation Plus XL, shown in the color Rose Gold. While there are a lot of options available for portable power packs, there are definitely some that are better than others. My favorite comes with a hefty price tag of $99.95 from the popular mobile power company Mophie. Their Powerstation Plus XL is not only light and durable but totally efficient. The pack is a 12,000 mAh battery that delivers up to 48 hours of extra talk time with an output of 2.1 Amps. The pack has a micro USB charger attached to it, but it also comes with a lightning adapter for us iPhone users. Another much more affordable, yet still totally functional pack I use is the Tzumi Pocket Juice Endurance. 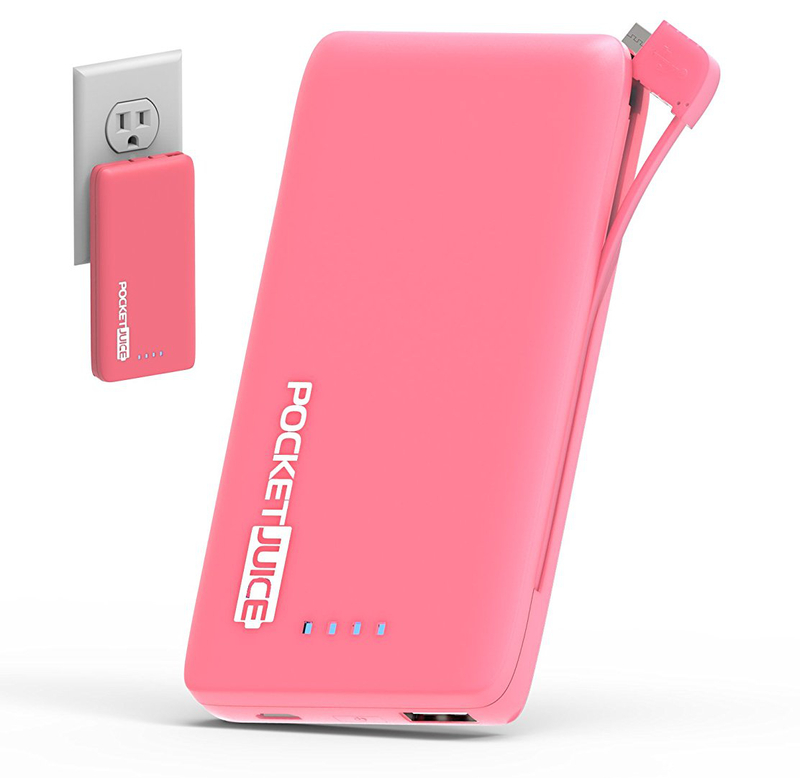 You can pick up this portable charger for only $12.99 on Amazon and it comes in four different color/pattern options (black, blue, pink, or mossy oak). I ended up picking this up when I was out running errands at a discount store and my phone battery was on the verge of death. I'm glad I did. 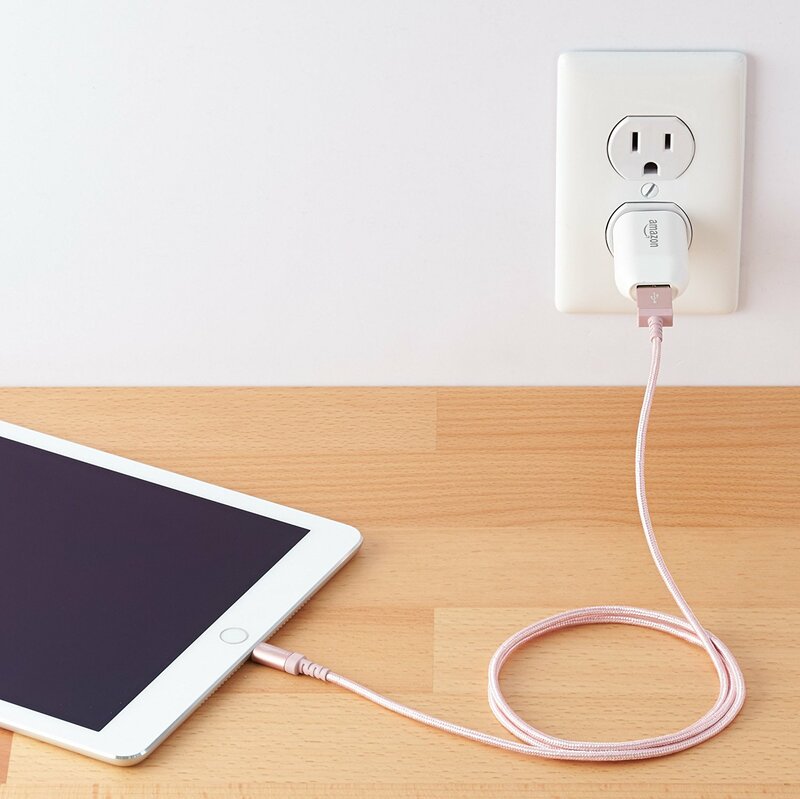 This one is super lightweight and plugs directly into the wall to charge. The charge time takes a few hours but I can get about 1.5 full charges on my iPhone 8 worth from it. The Tzumi PocketJuice Endurance AC, shown in the color Pink. While wireless charging is a thing on the newer versions of iPhones, you still need to have your phone physically placed on a charger for it to effectively work. Aside from wireless charging, everyone knows the lightning cables that come with the iPhone are 1) too short and 2) break easily. That's why I’ve found great use with long, “unbreakable” lightning cables. There are many brands out there, but I’ve found that some I have purchased are rather unreliable, and even though they say they don’t break, I have still managed to break them. The one I have found the best luck with is straight from Amazon’s AmazonBasics line. The AmazonBasics Nylon Braided USB A to Lightning Compatible Cable is by far my favorite. Not only does it come in 6 foot length options for only $12.99 (opposed to Apple’s which costs $19 for 1 meter, or about 3.3 feet, of length), but it comes in four color varieties (gold, silver, dark grey, or rose gold) so it matches whichever phone color you currently own. The AmazonBasics Braided Nylon USB A to Lightning Cable, shown in the color Rose Gold. Per the description above, the wires within the cables are protected by an ultra-sturdy, yet still flexible braided nylon covering. The description also states that the USB A and lightning ends have an additional layer of protection to improve durability and reduce the chance of fraying. Perhaps the best part of these cables it that they come with a 1-Year limited warranty. Even if the cable does end up breaking within the first year, Amazon will ship you a new one. Have you tried any products on this list? Which are your favorites? Let us know on our Facebook or Twitter!